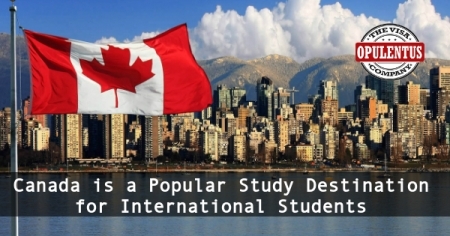 A new survey of international students shows the popularity of Canada as a destination for studies. It is matching the US and UK, to be a popular country for the young people to study. In the 2018 edition of the QS Applicant Survey, Canada is in the pursuit, to become a favorite country. It is moving ahead and is likely to overtake the UK for the second best place. It is so far behind the US. There is a feeling among the Experts that this is a reaction to the political affairs of both countries. Furthermore, the US has become anti-immigrant policies under the leadership of President Trump. The U.K. has decided to leave the European Union, on the issue of freedom of movement. Moreover, Canada has a focus on increasing immigration. It has encouraged global graduates to reside in the country. It has a wish that these students can live and build a thriving career. Consequently, the Federal Government is pursuing this matter as a central policy. Canada has successfully attracted students of specific regions. It has increased its popularity in the Middle Eastern countries. USA 2017 data shows a decrease of 17 percent in the study permits which were issued to overseas students. On the other hand, universities in Canada show an increase of 11 percent among international students. There is a three-step process in Canada for international students. They can have a Study Permit when they take full-time education. They can have a Work Permit, in studying Post Graduation courses. Additionally, by using the experience they can qualify for seeking permanent residence. As per the study options, these are the Figures of Universities in Canada in 2017. They show an increase of 10.7 percent among international students. Ottawa has made an announcement that it is accepting a million permanent residents. It has a plan to do this in the following three years. Many of these will be international students who have completed their graduation in Canadian universities. These students are having a positive image. Moreover, they possess a Canadian education and know the official languages. Moreover, they have, work experience in the country. Knowing the life where they can integrate into the society successfully. The present government has adopted an easy approach to accommodate international students. They can also receive permanent residency in the country. It has also added points when the candidate's complete three-year post-secondary education. There is a scope for 30 CRS points when the candidates are masters, doctorates and hold a professional degree. Additionally, this feature is offering them many benefits and they can get the Invitation to Apply. in the light of facts, the provinces and the federal government and promote the Atlantic Immigration Pilot program in Canada. It started in 2017 and has a category to attract international graduates. It has the aim to reduce aging population and wishes to use their services in the labor markets in the Atlantic Provinces. Quebec has an international graduate stream, in its Quebec Experience Program. It offers permanent immigration to diploma holders and undergraduates. Moreover, a job offer is not necessary here. There is a special benefit in case a candidate studies in Quebec. There is a similar program for Ph.D. graduates and Masters in the Ontario Immigrant Nominee Program. International students can also qualify to work in Canada after becoming graduates. They can apply to seeking a Post Graduate Work Permit. There are a few recent changes to Canadian citizenship requirements. These are beneficial to international students, and allow them to count the time of living in Canada. This benefit helps them in a big way in the citizenship application.